"This is in many ways how major media has domesticated blogging." 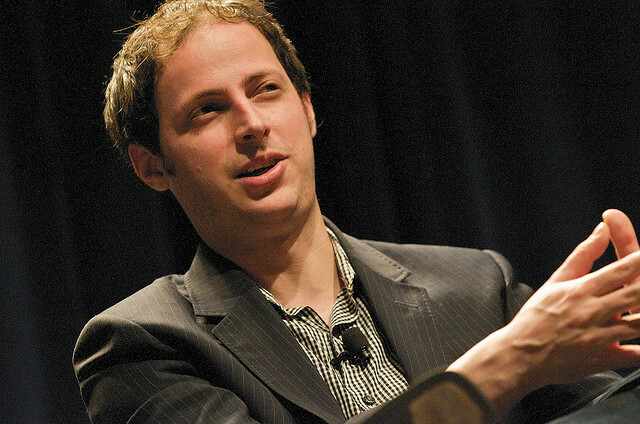 Yesterday the buzz in newsland was all about Nate Silver’s decision to move his FiveThirtyEight.com franchise from the New York Times to ESPN. (Good round-up here.) A subplot was provided by public editor Margaret Sullivan. She described Silver as an awkward fit for the Times newsroom and an object of resentment among some political reporters. This led to something I had never seen before. Damien Cave, a Times correspondent in Mexico City, appealed on Twitter to his unknown Times colleagues on the political beat who had resented Silver. Cave wanted them to come out publicly and explain themselves. “It’s a debate worth having,” he said. (Didn’t happen.) After Jack Shafer of Reuters wrote that Silver “may be the only Times employee who gave the paper more than the paper ever gave to him,” Binyamin Appelbaum, a reporter in the Times Washington bureau, sent this acid reply. Shadid, one of the greatest foreign correspondents in Times history, gave his life while covering the civil war in Syria. * Dealbook, built around Andrew Ross Sorkin, New York Times. It covers Wall Street dealmaking. * Wonkblog, built around Ezra Klein, Washington Post. Politics and public policy. * Fivethirtyeight.com, to be built around Nate Silver, ESPN. Data-driven coverage of sports, politics, business, weather, culture. * Grantland, built around Bill Simmons, ESPN. Writerly coverage of sports and popular culture. * MMQB, which launched yesterday around Peter King, Sports Illustrated. NFL football. * AllThingsD, built around Walter Mossberg and Kara Swisher, Dow Jones. Technology news. * Additional journalists are hired as the franchise succeeds and the founder gets to hire them. Why are we seeing the growth of this state-within-a-state model? 1. Multiple shifts in power in the media business, which I described here, have converged around this model. One sign of that power shift: Many argued for it, but only Andrew Sorkin was able to insist that Dealbook stand outside the Times pay meter system and remain free. 3. Brands still mean something as a guarantor of quality and huge audiences attach to them, but they are weak on voice, which creates loyalty. Loyalty moves across platforms as platforms shift. The state-within-a-state model solves for that, as Marshall suggested. 4. Digital metrics allow media companies to measure the worth of the individual journalist in a way that was not possible before. That makes it possible to rationalize the investment in a personal franchise site. And of course the star journalist can look at those numbers too and use them as leverage. 5. As Marshall, Andrew Sullivan, Om Malik and others have shown, it’s possible to do the same thing as an independent, but fewer journalists have the determination and ingenuity to run their own business. Also: Big Media has the lawyers and that’s got to be a huge relief. 6. I think news executives are somewhat intimidated by the enormity of the culture shift required within legacy organizations. Instead of trying to renovate the ideology of professional newswork, a huge task that invites grandstanding, it’s easier for the editors of the Washington Post to let Ezra Klein do his (already shifted) thing and then add people to that franchise. They avoid a holy war over news vs. opinion while quietly letting the distinction corrode. Note that Klein is one of the Post’s most important political journalists but within the newsroom he is officially classified as a opinion columnist for the business section. This is a recognition that the formal structure makes no sense. The personal franchise site allows for innovation without toppling certain fictions that editors and some reporters hold dear. How is it domesticated if the blogger is still in charge of his content, only with a bigger budget and a huge salary? Domesticate me like that, please. This whole nonsense about a “personal franchise site” is simply a way to dismiss the whole blogging thing as some bad dream. I’m also intrigued by the Times focus on this so-called ‘brand within a brand’ model, with Sorkin and Ezra Klein as models. This is in many ways how major media has domesticated blogging (and I do not necessarily mean that in a negative way). It takes some of the voice, idiosyncrasy and focus of blogging and scales it with the resources and audience numbers independents really cannot muster (believe me, this is something I know about). The challenge is to build the personal brand on real value and not just shock and awe. Howard Stern, Rush Limbaugh, Laura Ingraham, et al., know how to get attention. But Silver did it with real skill and talent (as does Jack Shafer). Exactly! i never worried about the outcome of the election because I read Nate Silver and I believed him. I think there is a lot of embarrassment at the NYT and among the politicos in general that they did not recognize his genius sooner. They wrote him off in ways that now look so foolish. What he did is groundbreaking. He embraced the technology available in the computer age and applied it to statistical analysis of real world events. This has to be frightening to all the talking heads who feel they have a psychic insight into the way events will unfold in the world, and make their living blabbing about it endlessly. This doesn’t seem that different than Krugman or Errol Morris, just on a somewhat smaller scale. Hasn’t the whole idea of hiring columnists always been based on acquiring personal franchises that already, in some sense, existed? From a business standpoint, what’s the difference between hiring Nate Silver and hiring Dr. Ruth? If Paul Krugman had a staff of other economist/pundits paid by the New York Times and hired by him, writing alongside him at politicsandeconomics.com, freed from the Times paywall, you would be right. Would this staff…paid by also be a basis for excluding Glenn Greenwald’s “Unclaimed Territory” (independent -> Salon -> The Guardian) as a personal franchise site? Glenn fits the model in some ways. He has an independent following that would come with him if he moved somewhere new and can raise his own money, thus giving him more power, but he’s not a state within a state with his own staff. Like Krugman, he’s a columnist with a lot of pull who drives a lot of traffic and attention. These are related phenomenon, obviously, but not quite what I was analyzing in this post. Romenesko is a (very good) journalist with a following who took his site independent. You might add that these arrangements work best when the topic is advertiser-friendly: sports, technology, finance. Much harder to do this if you cover, say, infrastructure, or local government. My point in this analysis was not: hey, anyone can do this! It was to identify a model and ask: what’s going on here? It’s very hard to build one of these personal franchise sites, as Josh Marshall or Om Malik has, and it’s hard to do what Ezra Klein does. The sheer productivity of the guy is intimidating. Thanks for your great analysis on this. From my view, Silver and the other individual brands you identify are an extension of the celebrity columnist, writer and book author. Journalists and writers like Tom Friedman and Malcolm Gladwell have developed brands and global reach that in many cases extend well beyond their news organization, even that of the NY Times and New Yorker. For interested readers, I analyze and discuss this new brand of journalist and media producer in a paper released earlier this year by the Shorenstein Center at Harvard. I use as a case study writer, public intellectual and activist Bill McKibben but discuss a range of other writers and journalists in this space. Silver is somewhat unique in that he uses primary data analysis as his main product, rather than reporting or deep synthesis of existing research findings and scholarship. I’ve read it and can recommend it. Thanks for stopping by, Matt. Nice summation, Mr. Rosen. Still seems to me though that the “personal brand” style of journalism is not so new or innovative. Sam Clemens did it in the 1860s, TED talks (or their contemporary equivalent) and all. Sam Clemens? He wasn’t new. Tom Paine did it in the 18th century! Your turn. Another antecedent who springs to my mind is I.F. Stone. Isn’t the aggregation of such basically Forbes or Huffpo? The M Sullivan column is hilarious — really worth reading. I’m guessing she’s smart enough to recognize that she’s basically saying that most of the NYT coverage is worthless, but trying to be a bit subtle about it. I almost fell out of my chair laughing. That evil Nate using science rather than reading the entrails of doves!